Xiaomi smartphone users will be happy to hear that the latest Android 9.0 Pie OS update is available to download for range of Mi & Redmi smartphone. It is a ported Android P 9.0 Generic System image which can be installed on Xiaomi phones using the project treble 8.1 vendor. 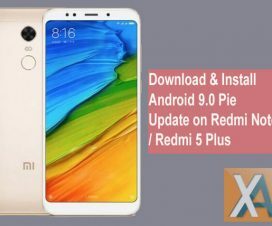 In this post, we have shared complete steps on how to download and install Android 9.0 Pie GSI on Xiaomi Redmi Note 5 Pro. As we all know, Google officially announced its latest iteration of its Android OS called the Android P 9.0 at Google I/O held in early March this year. It is a major upgrade over the current Android 8.0 Oreo with addition of several new features and performance improvements. 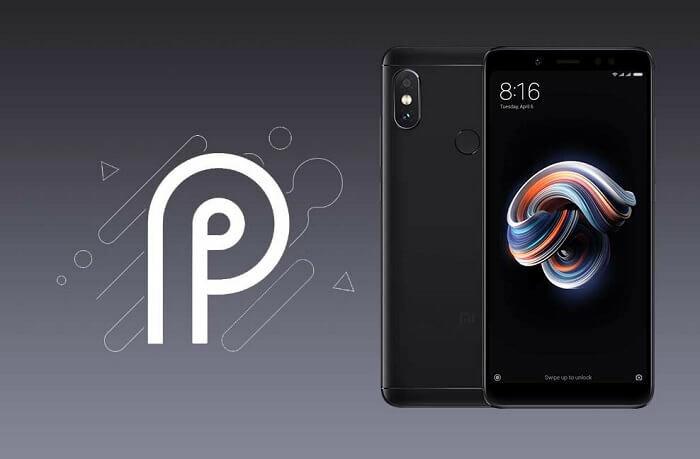 Although, Xiaomi doesn’t reveal the roadmap for Android P updates for its MIUI phones, today the Redmi Note 5 Pro users can port Android P 9.0 OS GSI to experience the latest features. All credits goes to developer oieNao and XDA recognized developer erfanoabdi for their efforts in porting the Android P beta version from Google Pixel XL with the help of project treble. To remind you, Google introduced the Project Treble last year with the Android 8.0 Oreo. This feature helps the OEMs to port the latest version of Android OS to their devices. 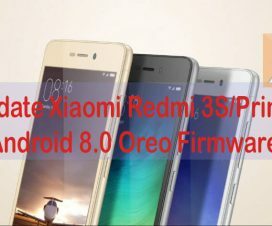 Without much ado, follow the below steps to download Android 9.0 Pie update on Xiaomi Redmi Note 5 Pro and be the first among your friends to experience the latest Android 9.0 update. 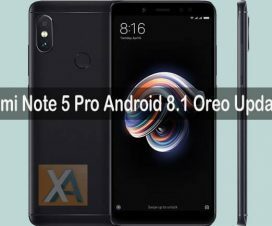 This update process can be performed only on Xiaomi Redmi Note 5 Pro. Don’t try to install the ROM on any other Xiaomi/Android phone. Make sure to charge your phone at least 70% or more to avoid unnecessary power-off in-between the installation process. Ensure all your device data is backup to a safe location. This will help you to restore if any data loss occurs. You need a Laptop / PC and an original USB cable. Make sure to unlock bootloader of your device. You can follow our guide on how to unlock Xiaomi Bootloader. Install TWRP Recovery on your Xiaomi Redmi Note 5 Pro. Xiaomi Advices is not responsible for bricking or damage of your smartphone during or after the procedure. Always, proceed at your own risk. Double Tap To Wake not working. Before starting the Redmi Note 5 Pro Android P 9.0 GSI flashing process, do make sure you’ve installed the latest TWRP recovery on your device. Also, download necessary flashing files from above provided links. 1. Firstly, download the above necessary ROM packages on your Redmi Note 5 Pro internal storage. 2. Find the P-DP4-sGSI-Aonly.zip file and extract it. 3. Now you need to boot your device into TWRP Recovery. You can check how to boot Xiaomi phones into TWRP recovery. 4. From recovery main menu, perform Wipe > Advanced Wipe and select Dalvik/ART cache, cache System, Vendor, and Data and then swipe to wipe. 5. Now, you need to flash the Mokee ROM on your Redmi Note 5 Pro. To do so, you need to tap on ‘Install’ and select MK81.0-whyred-2018xxxxx-NIGHTLY.zip. Swipe to confirm the flash. 6. Next, you need to flash the extracted P-DP4 file: Tap on Install > select the extracted P-DP4 image file > Swipe to flash. 7. Before flashing the remaining POST-sGSI .zip files, you need to mount the device partition. To do so, tap on Mount and select System and Vendor. 8. Now, you’re all set to flash the remaining files including the POST-sGSI_1.zip, POST-sGSI_2.zip and POST-sGSI_3.zip. From recovery main menu, tap on ‘Install’ and flash these files one after another. 9. Once done with the above step, you need to flash P-lag-fix.zip file. 10. Again, you need to mount system and vendor partition just like Step 8. 11. Finally, flash incall2.zip to fix the incall sound issue. 12. Go back to recovery main menu, tap on ‘Reboot System’. That’s it! 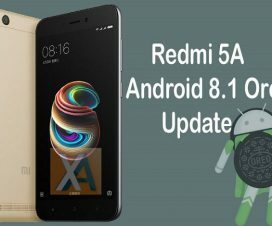 You have successfully installed Android 9.0 Pie Generic System Image on your Xiaomi Redmi Note 5 Pro. For any issues during the above flashing procedure, do leave a comment below.